Taco Tuesday does not exist in our house. 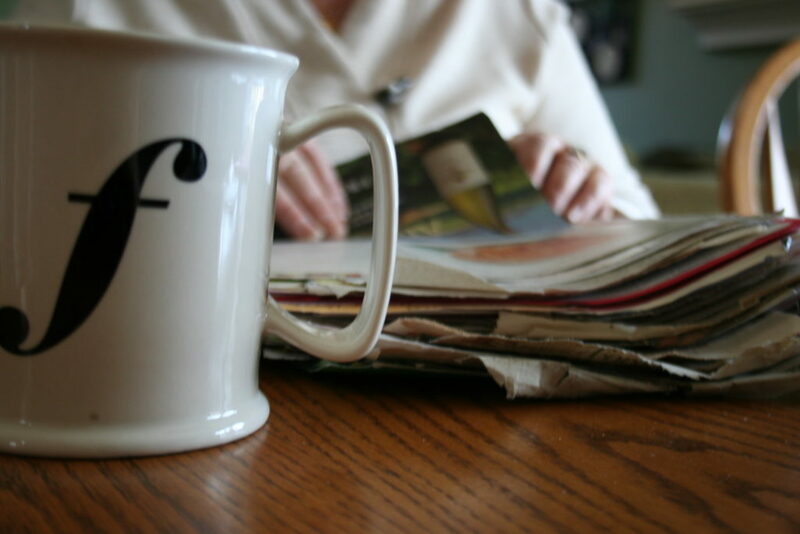 For the last eight years, my mom has gone through nearly as many recipes as the average college student goes through beer. 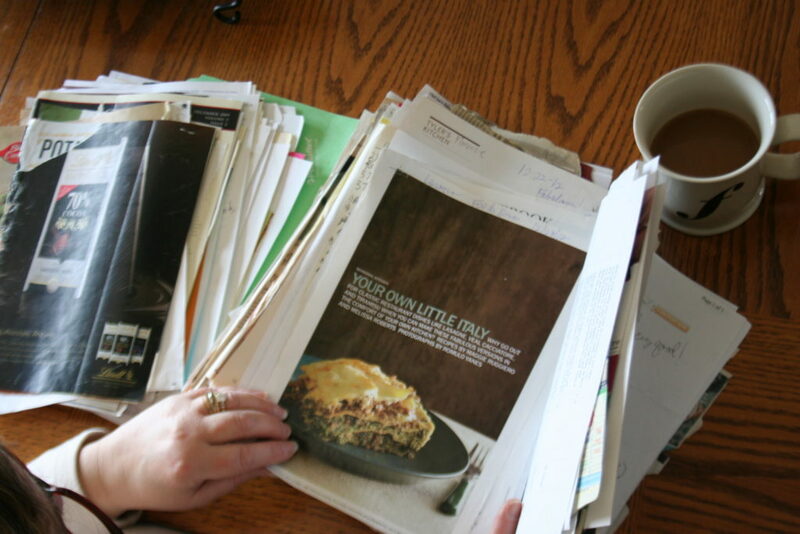 In 2006, she noticed piles of unused magazines including Kraft’s Food & Family and Better Homes & Gardens being thrown away from our coffee table, without hardly touching any of the recipes inside. It’s not like my mom didn’t cook dinner every night (she did, takeout was a luxury) or that she repeated the same dinners in a cycle every two weeks. She just recognized that the convenience of the creative and simple recipes offered at her fingertips was not being completely taken advantage of. So on September 8th, 2008 my mom took to the kitchen and began her first goal of completing all the recipes one single magazine had to offer. Each periodical emphasized current culinary trends and seasonal foods, something that certainly began to translate into every meal. On any given night we would eat a new pulled pork recipe, accompanied by trendy sweet potato fries and a summer chopped salad. Even the salad dressing was always a stranger to us. 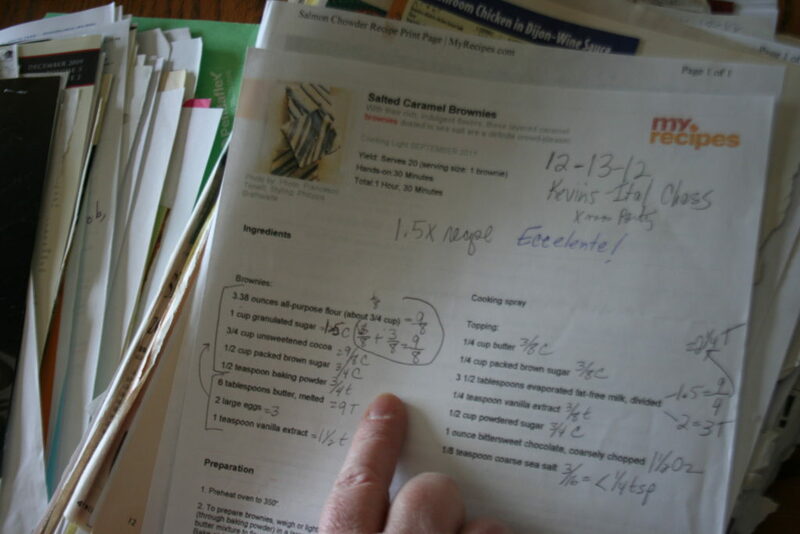 While we were chewing she would ask us our thoughts and scribble them on the recipe themselves to be archived in a binder. Each page included the date made, a few descriptive words like “bland” or “remarkable,” and if someone in my family particularly enjoyed the dish. We were all humored by her writing our feedback down since she wouldn’t be making this recipe ever again, so who cared if we liked it or not? When my brothers and I came home from school we would smell mysterious aromas and try to guess what we would be eating that night. We were introduced to new cuisines and enticing flavors and the dinner table was as exciting as ever, especially when we sat down with company and my parents had very riskily prepared a meal that they themselves have never made before. There were exceptions to the rule, of course. My mom could repeat a recipe if she knew it by heart, it was an old family recipe (we’re Italian, you see), or it was one of our birthdays and we requested a favorite. And these were the exceptions only she had created for herself, because none of us were personally holding her to the rule. If she made the same mac and cheese recipe we had already enjoyed in November of 2011 we definitely wouldn’t begin a hunger strike in protest. This was a goal she had set for herself to honor her family and make every mealtime intriguing and stimulating. To this day, she continues to experiment in the kitchen. Family and friends both look to her for culinary advice as well as complete intimidation when they cook her a meal. As a family, my dad, brothers and I are so thankful for the diversity of flavor and cuisine over the years, separating all of our meals far from boredom, but more importantly for all of the meals we have been able to enjoy together thanks to the passion of our mother. Now, for me, life at college is a little different than life at home. Sure, I don’t get to come home from class and see my mom planning out tonight’s meal – but more than that, I feel that by the time I make dinner, exhaustion has halted any motivation I had to make a new meal for myself. Not to mention that just heating up a veggie burger sounds a lot less time consuming. I quickly realized that the very best meals to me were not ordering a pizza with my roommates. It was when we made them together and developed our own unique toppings that put pepperoni in its place. It was the ones I shared with my family at school, being bold and experimenting new styles of cooking using only the ingredients and tools we have in kitchen. I try to bring my mom’s philosophy into my daily routine for a break from schoolwork and to create a designated time to relax in my day. I’m not saying throw away all of your boxes of mac and cheese and your Jimmy John’s take-out menus – never that. Instead, start seeking out new recipes by bookmarking food websites or starting a Pinterest board. Try to identify a day or two of the week where you can cook with friends, open up a bottle of wine, and enjoy the food and people around you, just as my mom did.